IF anything, regular readers (from across the globe) know that they can depend upon this site to tell the unvarnished truth, come what may. Yes, it is this “take no prisoners” stand which has won accolades from other pundits across the conservative (and patriotic) side of the spectrum, as well as gained the trust of others who “operate in the shadows.” At the same time, this truth-telling has placed a bull’s-eye (literally) on this face, to the degree that Islamists, in tandem with fascist-leftist helpmates, co-opted my pic from Facebook – circulating it across the internet, for starters – to intimidate this voice into silence. How’s that working out?? BE that as it may, by extrapolation, it can no longer be denied: while their insidious thrust toward the kiddies is reaching maximum peak, it is also the case that so-called conservative leaders (elected and non-elected) have been beyond negligent – and to the nth degree. An everlasting shame. IN this respect, what other outcome should have been expected when, over the years, nary a single conservative politician, think tank, or respected community/cultural leader dived in to create a counterweight as heavy-duty push-back and attendant blockage? Not only that, where was their hue and cry (again, over many decades) re the co-option of the nation’s public schools of (mis)education; a system which, as of late, can’t even tolerate the fact that some students excel, while others lag behind. Thus, the dumbing-down for “diversity” sake – as a handful of specialized, high-achieving schools are in the midst of deconstruction to mirror a socialist paradigm! Unbearably, New York City’s chief commissar, Marxist Mayor Bill de Blasio, has his hammer/sickle-like sights aimed at the acclaimed Stuyvesant High School, and its sister schools in the top academic tier! Now, why would he (and fellow City Hall, etc. Marxists) do that?? …..And as this investigative journalist already proved at Joe For America (within the linked expose’), the following must serve as part of an overwhelming and overarching indictment – more than enough to nail de Blasio’s head to the wall. Yes, his alliance with the most retrograde forces threatening America – ala co-joining between Islamists and Marxists – is a done deal….. Whereas Common Core is seen as the epicenter of the capturing of America’s kiddies – as the fascist-left deconstructs the nation’s founding ethos through their footprints into public education – this view is only partially correct. In reality, it is an outgrowth of decades-long socialist “planning”; a full-on stealth takeover. As always, it is imperative to segue back to the root(s) and core. Along this Orwellian pathway, let’s take a gut check via a historical look-back. Long before Common Core became a nightmarish reality, the plot was hatched – decades ago, to co-opt public education. Based upon socialist models of government control, America’s fascist-left mirrored their march straight from Marx’s Communist Manifesto! In fact, it all began during Woodrow Wilson’s Presidency, yes, the “godfather of American progressivism.” Simply, his plan (with like-minded surrogates) was to prolong World War 1, to such time that societal upheaval was at maximum chaos. 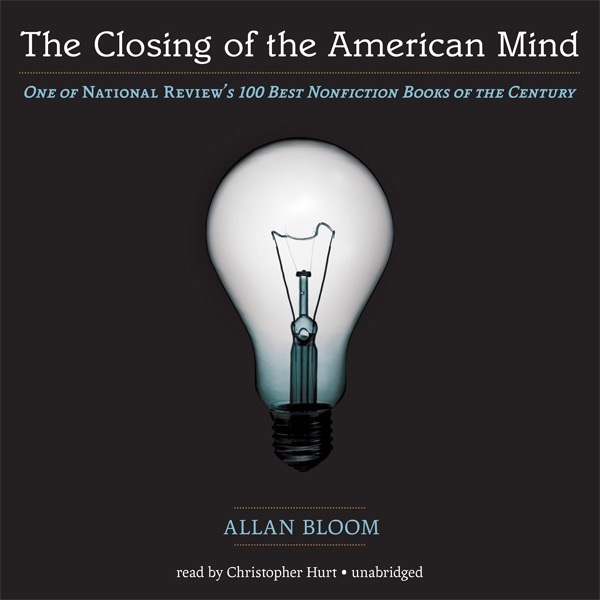 In turn, a “reorganization” and “reorientation” of American life – away from its founding roots – would swoop into place. Savior-like. Moreover, in the forefront, said turmoil (and attendant “mop-up”) was planned in concert with the Carnegie, Rockefeller, and Guggenheim Foundations, but with others in tow. Guess what? Some of these evil, twisted bastards helped Nazi socialists perpetrate the Holocaust, and supported eugenics too! Indeed, this is all part of the historical record. Know thy history well. And speaking of history, Guggenheim Fellowships were (and still are) mandated to produce the next generation of historians, that is, of the revisionist kind! It was through the (mis)educational march that American history was deconstructed, and, with it, western civilization in toto. In 1923, Wilson delivered a speech outlining progressivism. He denounced the Declaration of Independence as irrelevant to modern Americans unless it can be translated and expanded to fit the problems facing twentieth-century Americans. The Declaration of Independence did not mention the questions of our day. It is of no consequence to us unless we can translate its general terms into examples of the present day and substitute them in some vital way for the examples it itself gives, so concrete, so intimately involved in the circumstances of the day in which it was conceived and written. It is an eminently practical document, meant for the use of practical men; not a thesis for philosophers, but a whip for 20 tyrants; not a theory of government, but a program of action. Unless we can translate it into the questions of our own day, we are not worthy of it, we are not the sons of the sires who acted in response to its challenge. Wilson went on to say that modern European thinkers had declared that men were defined not by their individuality, but by their society. And one’s rights come from government, not from God — a rejection of natural law. Wilson encouraged Americans to adopt this European understanding of rights and man’s role in society. Of course, capturing the hearts and minds of the kiddies is mandatory, bar none. Inextricably, their indoctrination is hardly given the national attention it deserves, if at all. So consider the following as foretastes; lead-ins to recently encapsulated updates. Similarly, under said thrust, far be it for a teacher to not receive an award for her “teaching abilities”, as she (a she-devil, truth dare be told!) “transformed” one of her kindergarten charges from a male to a female, and to the horror of his/her classmates!! Now, that takes brass balls….or, on the other hand, the total backing of a fascist-left school system. Pick your poison. But if the above is not enough to cause a patriot to explode, see here, here, here, here, and so on….. ONTO the aforementioned updates of the kiddie horror show…..
At the Edina School District in Edina, Minnesota, all employees, even bus drivers, must take “Equity and Racial Justice Training” instructing them that “dismantling white privilege” is at the core of the district’s mission. They must acknowledge their racial guilt, and embrace the district’s “equity” ideology. As part of transgender instruction in Rocklin Academy in Rocklin, California, a male kindergartner was reintroduced to classmates as a girl. A first grader at the school was sent to the principal’s office after she called the student by his given name on the playground – apparently unaware that the five-year old had changed gender. These horror stories are not exceptions to the rule. 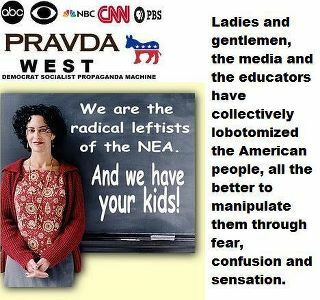 As our important new pamphlet (co-authored by Sara Dogan and Peter Collier), Leftist Indoctrination In Our K-12 Public Schools, shows, they are happening every day in schools all across our country. You can access this work which provides crucial documentation of the indoctrination crisis in our schools here or read the full text below…..continue the horror show here…. NOW that that is settled, how shocking is it that potty-mouthed David Hogg – the Soros–funded, mega-backed, goose-stepping teen for the fascist-left – is shilling for the evisceration of the Second Amendment; a main pillar of the Constitution, as designed by the Founding Fathers? Patriots, know this: your tax dollars are being spent to fund said anti-American “activist” deconstruction – and from deep within the bowels of public schools across the nation! Full circle. EVEN so, make no mistake: their entrenchment would have taken much longer without the hyper-muscle and financial efforts of their compadres, Mohammedans. Proofs abound, per this charge. As such, start your journey through Qatar, yes, that hub of Islamic Jihad – a subject specialty within these pages! MARCH by march, goosestep by goosestep, and creep by creep, the socialist commissars within America (from the tippy top of Washington, to the Dept. of Education, to the doorsteps of City Halls and Governorship’s), ever so stealthfully, captured the hearts and minds of the kiddies. ALAS, where were all the so-called conservative and patriotic leaders – vis-à-vis the most precious asset that the nation has, that is, the kiddies, the future of America? Hide nor hair. MIND you, as fascist-leftists grabbed them by the throats from kindergarten and onward, the above is merely a smidgen of the wreckage and blow-back from the deafening silence of conservative power brokers, elected and non-elected. SHIVER THE FUTURE OF AMERICA TIMBERS! This entry was posted in Uncategorized and tagged "common core", Conservative shame, hammer/sickle-like sights, Leftist Indoctrination In Our K-12 Public Schools, Marx's Communist Manifesto, potty-mouthed David Hogg, Wilson: The Declaration Of Independence Is Irrelevant by Adina Kutnicki. Bookmark the permalink.